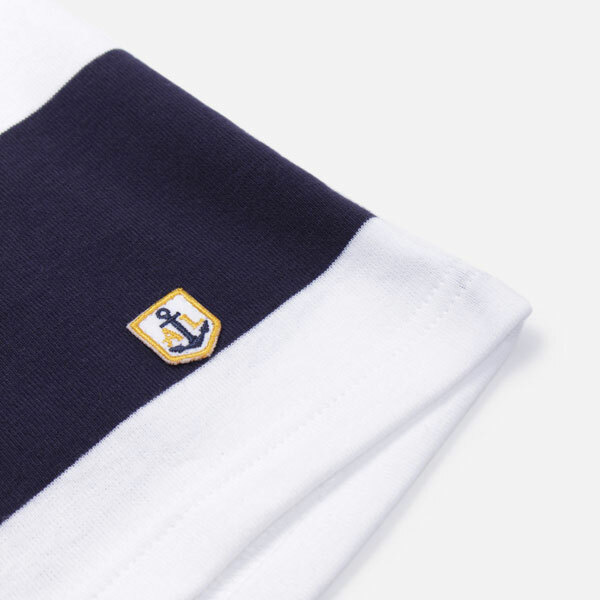 The sun has started to shine, which means upping your t-shirt game. 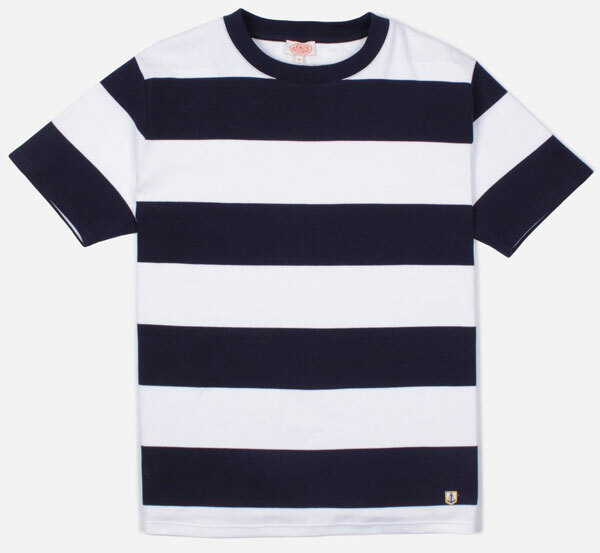 If you want a classic, get on these Armor-Lux bold stripe t-shirts. 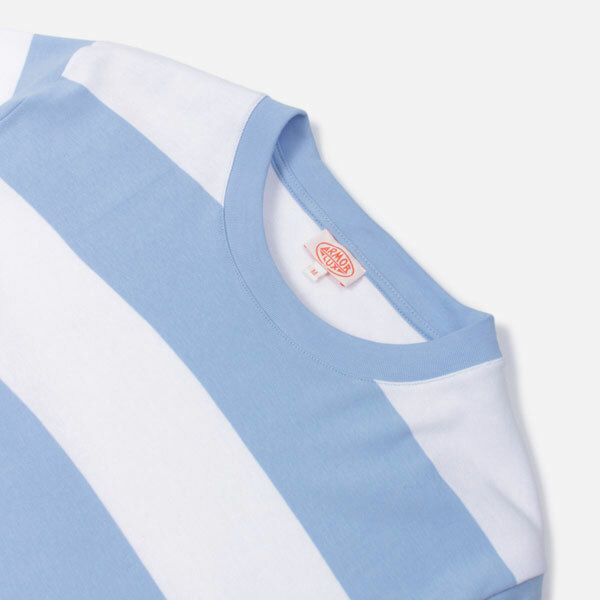 Part of the label’s heritage range, which means a timeless classic that has been around for a good while and still looks the part. 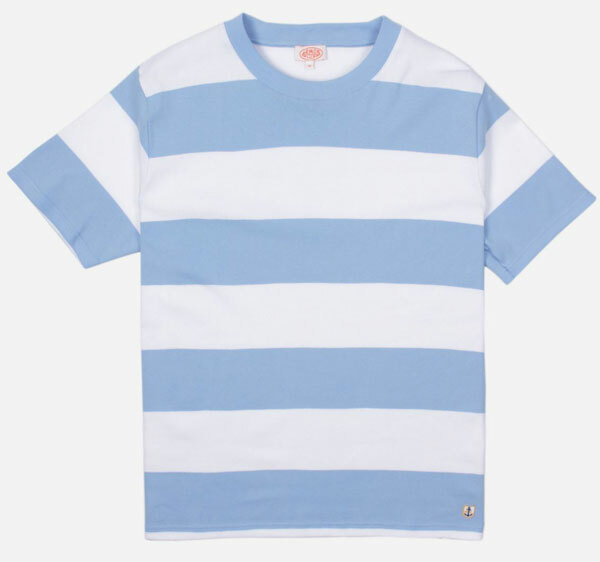 In this case, we are talking a bold stripe t-shirt in either a light blue and white or a black and white, both in cotton and with a crew neck and subtle Armor-Lux branding on the hem. That’s how you do a classic – with the minimum of fuss. These aren’t actually being sold on the Armor-Lux site, though plenty of other designs are. If you want this t-shirt design, you will have to go to Hip instore or online, which has them in sizes small through to extra large, priced at £55.